As mentioned in my Valentine's Day post, we embarked on updating two bedroom closets for my Mom. 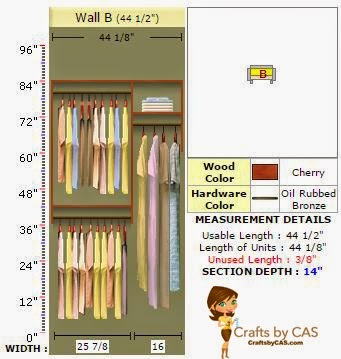 I took some screen shots of the designs we came up with at Easyclosets.com. I can't tell you how much I love this website. They make it so easy (I guess that's why they have the name they do) to custom design pretty much whatever you are looking for. 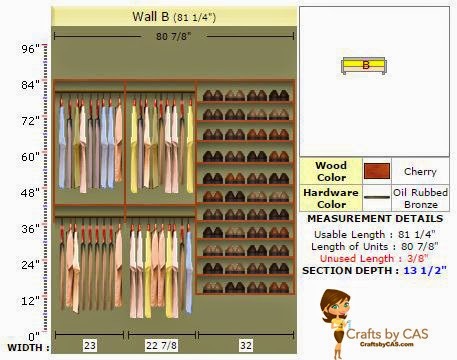 The site made it easy for us to adjust the depth of the large closet organizer due to the location of the door and trim. 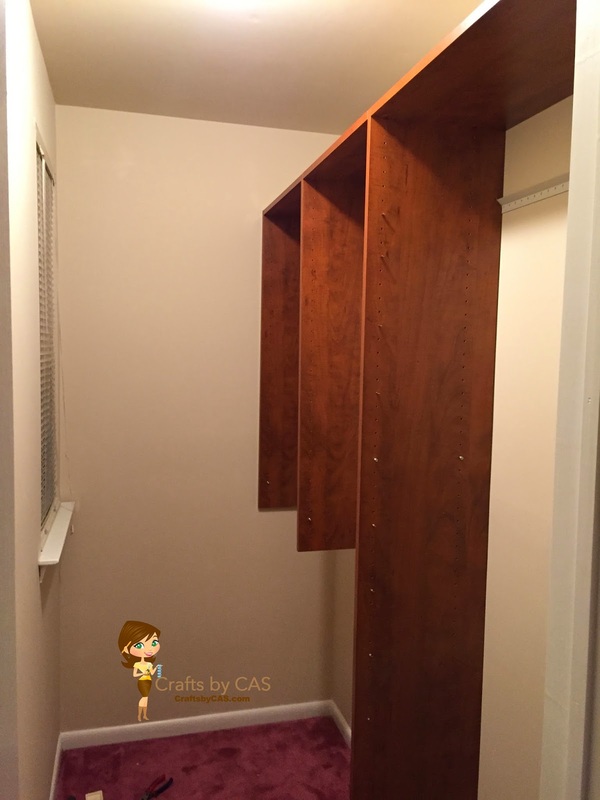 This adjustment wasn't needed for the smaller closet, so we used the standard depth for that one. The main goal for both spaces was to give my Mom more hanging space than before. 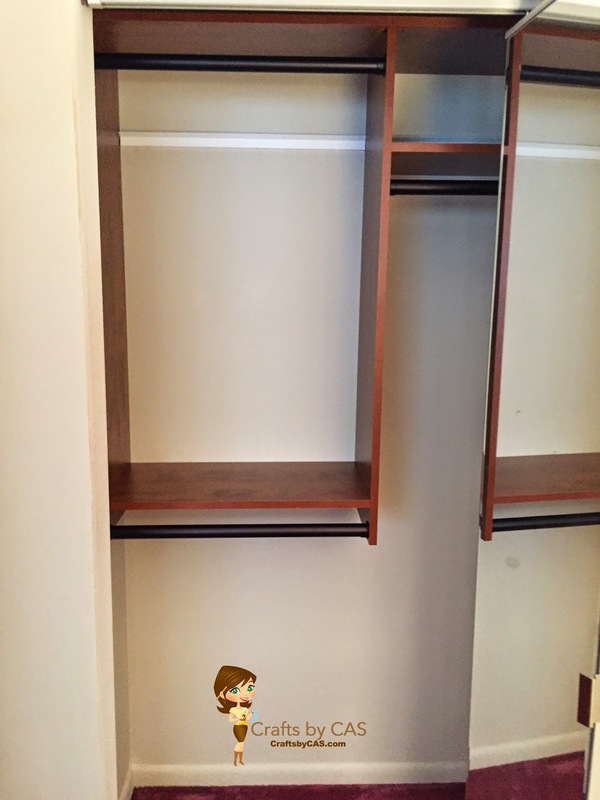 She not only has more hanging space now, but also additional space for her shoes inside the closet! We designed and ordered the closets online on a Saturday. During the ordering process we were able to select a preferred shipping date. We knew Jon would be busy and needed his help to carry in the 11 boxes. We choose Tuesday as a shipping date. Guess what....they shipped it Tuesday and they arrived at my Mom's doorstep on Thursday! Thank you UPS man for offering to bring them inside for her. "Day 2: Painting" didn't happen!! At least for my husband and I it didn't. My Mom painted both closets herself between Saturday and Thursday. I can't tell you how happy we were! Painting - worst project on the planet. So, now we move on to "Day 3: Inventory". This really didn't take a day. I work until 5:00 p.m. so, I picked up Jon and we headed over to my Mom's house to inventory the boxes and sort through the materials. This took about two and half hours (including a quick break for pizza dinner). "Day 4: Track Installation": Friday night after work I picked Jon up and we headed back to Mom's house. Again, this process did not take a day - I'd say 2 hours tops (also included a quick break for takeout dinner again). 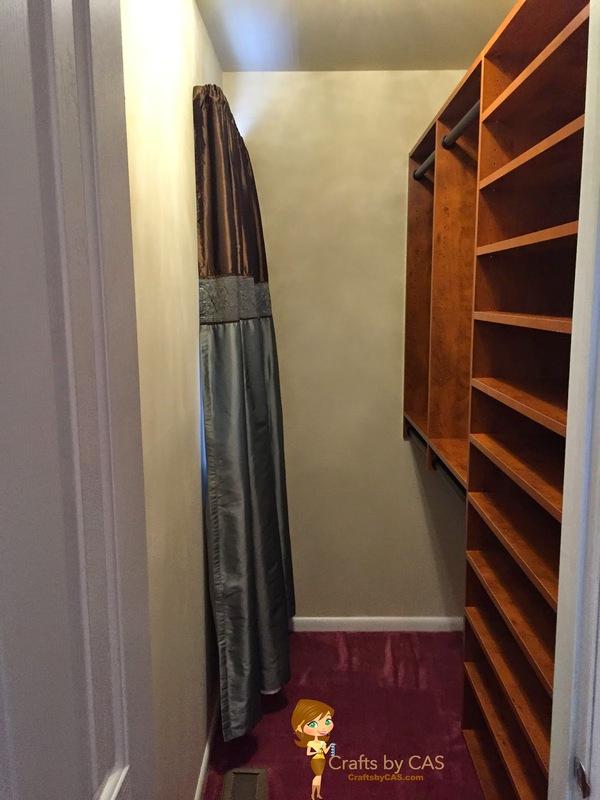 The entire closet system hangs from a steel track that is secured to the studs in the wall. We think this is the 'hardest' part of the install. I say hardest only because it's the most time consuming and accuracy is important. Don't get me wrong, it's not HARD...just important. Jon was able to hang both of the tracks Friday night, so that meant Saturday we were ready to go full force in putting the closet together. "Day 5: Closet completion Day": With Dunkin' Donuts in hand we arrived mid morning to Mom's and got right to it. While Jon started placing the end panels onto the tracks, I hammered all of the cams into the shelves. This was quick. Between the two closets I'd say this process took only an hour. One hour! 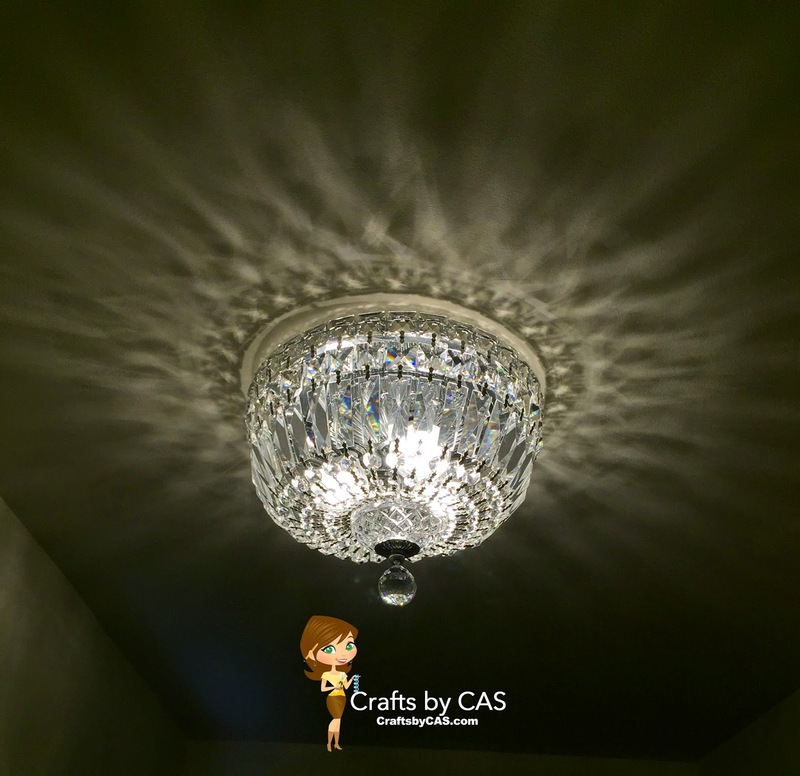 Jon also hung a new fancy light fixture and rehung the curtains in the walk in closet. Voila! - finished!! It really is amazing what a fabulous transformation these closet systems produce.